OCTOBER 11, 2018: Car buyers looking for the advantage of a plug-in electric vehicle have just a few more weeks to take advantage of discounts offered through the Electric Vehicle Sales Event. The discounts, available at five auto dealerships in Glenwood Springs and one in Grand Junction, end Oct. 31. In the first two months of the EV Sales Event, dealers have sold 24 plug-in hybrid and all-electric vehicles, according to Matthew Shmigelsky, electric vehicle expert with CLEER. Dealerships are offering discounts of $515 to more than $4,000 for the purchase or lease of six models of plug-in electric-gasoline hybrid models and plug-in all-electric vehicles. Dealer discounts can be combined with the state of Colorado’s $5,000 tax credit for purchase or $2,500 tax credit for lease, plus a federal tax credit of up to $7,500. Together, they can significantly drive down the cost of a lease or purchase. 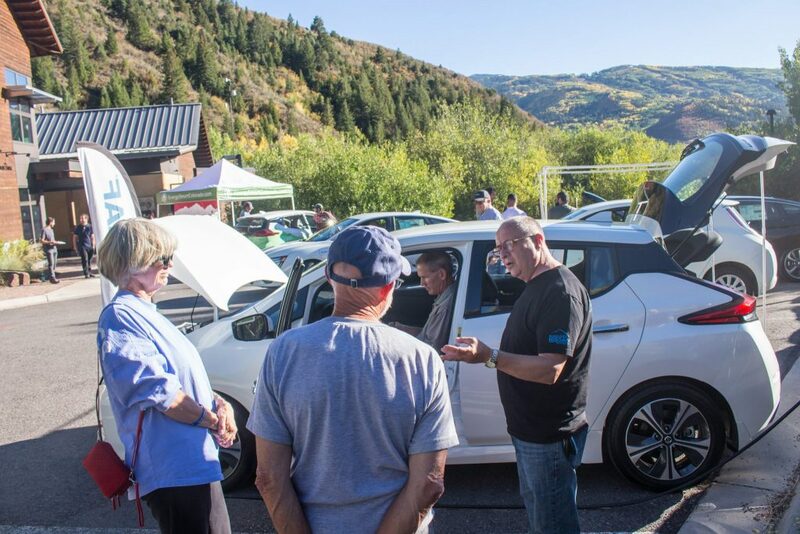 The Electric Vehicle Sales Event is led by Garfield Clean Energy, CLEER and Refuel Colorado, and sponsored by Holy Cross Energy, City of Glenwood Springs, City of Aspen, Town of Vail, Eagle County, CORE, Walking Mountains Science Center, Alpine Bank and Colorado Mountain News Media. Also running through Oct. 31 is a $650 rebate offer for installation of a Level II charger for customers of Holy Cross Energy. The “Charge At Home, Charge At Work” rebate is for residential or commercial customers who buy or lease an electric vehicle through the 2018 EV Sales Event. Customers must apply for the rebate by Nov. 1. A Level II charger provides a faster charge, and gives drivers the option of setting a timer for charging to take advantage of off-peak rates. For information, contact Holy Cross Energy at (970) 945-5491 or ev@holycross.com . More information about the vehicles, dealerships, discounts and tax credits is available on the Garfield Clean Energy website, GarfieldCleanEnergy.org , or call CLEER at (970) 704-9200.